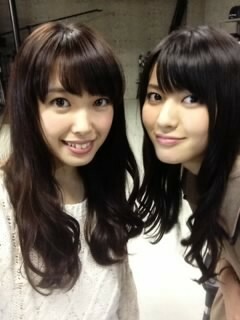 ▪℃-ute members Suzuki Airi (1) and Nakajima Saki (2) uploaded 2-shots with Maimi in their updates on the ℃-ute blog today, and S/mileage member Takeuchi Akari (3) shared a 2-shot with her big cousin in a blog update the other day. 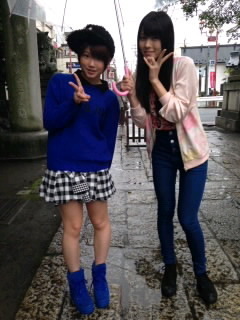 Check out blog!project for full translations of the other ℃-ute and Hello! Project members’ blog updates. ▪The goods for ℃-ute’s current tour got an update with some new B2-sized posters, new photocard sets, and an additional DVD magazine, which will all become available 10/19. The full list of tour goods can be found at UF-Online, and a digest for the DVD magazine can be seen on the UFACTORY channel on YouTube here. ▪Speaking of YouTube, both music videos for ℃-ute’s upcoming double A-side single have been uploaded to the ℃-ute channel. “Tokai no Hitori Gurashi” can be seen here and “Aitte Motto Zanshin” here. Posted on October 18, 2013, in News and tagged Yajima Maimi. Bookmark the permalink. Leave a comment.